In 2006, we took the decision to declassify the entire Heimbourg vineyard, after it had been hit by a medium severe hail in summer. Of course, nothing to compare with the 2007 hail in central Alsace, but with enough consequences that we feared some influence on the wines. Every year, we also declassify the Pinot Gris vines planted in 1990 in the Clos Windsbuhl, and in 2006, we thought that these two vineyard put together would produce an interesting wine, because they share two common factors: calcareous soil and late ripening situation. The fermentation was steady, still keeping some RS because of higher acidity, and gradually the wine was showing an interesting personality. As it originates from two different vineyards and villages, the only name we thought of was: ‘calcaire’, meaning calcareous. It is not a pretentious wine, but it is not shy either, as it has a very good pedigree. 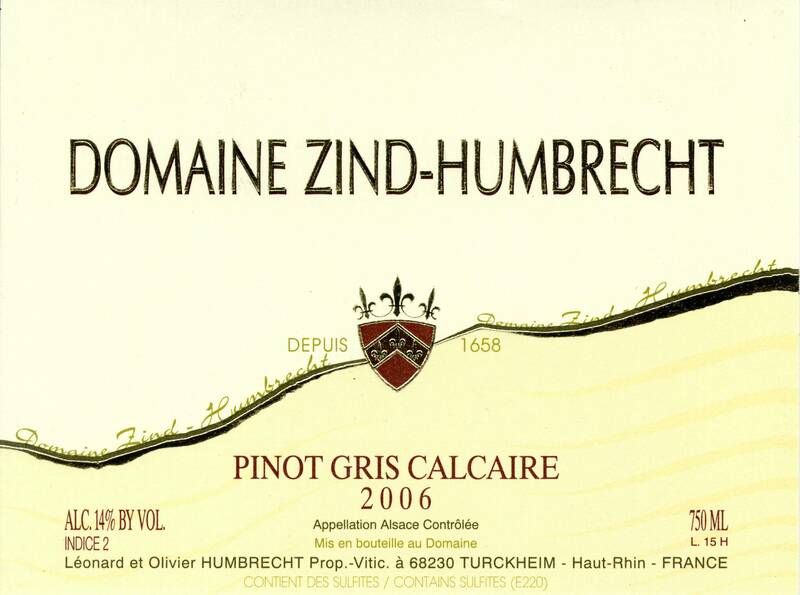 1/2008: the nose is very elegant and harmonious. The cooler climate from both source vineyards shows clearly: the aromas are very precise, mineral, almost salty with a typical austerity, which is welcomed for a grape variety that can sometime be to showy. The palate is identical to the nose: clean, feels dryer than it is, with pure calcareous minerality.